We do not accept AmEx cards at this time, any other card will work fine or check out with PayPal, Thanks! Please indicate whether you want a GFCI protector built into the control box. Select 'NO' if you already have a GFCI protector in the circuit powering the fountain because 2 GFCI's will trip each other out. ​This fountain comes standard with 100 feet of electrical cord. If you wish, we can lengthen the cord in 10 foot increments, up to a maximum of 250 feet. 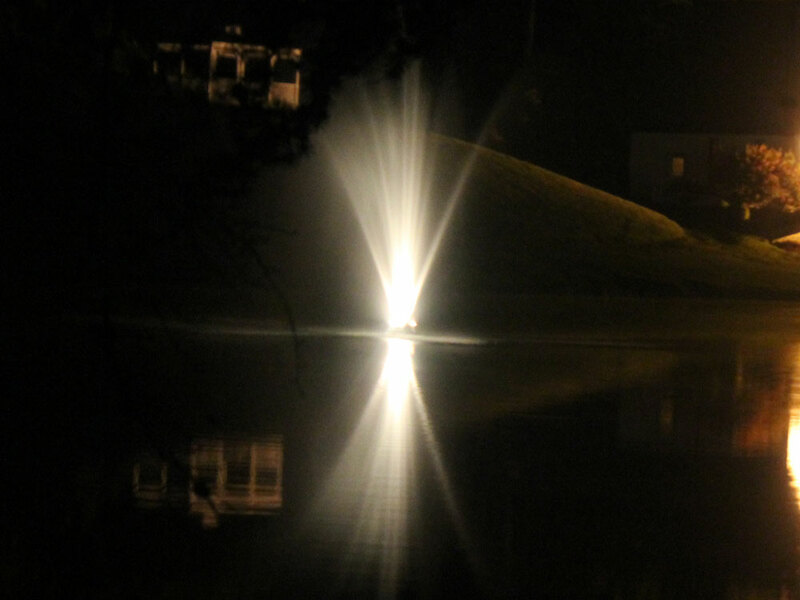 Minimum quantity for "EFL190 Lighted Fountain" is 1. The EFL-190 fountain has a 3/4hp stainless steel trash pump for retention pond applications from 1/4 to 1 acre where dirty runoff or stagnant water is the norm. It is available in both 115volt and 230volt* models and comes with fully automatic controls and 100' service cord standard. Typical spray size is 15'H X 15'W. Triple LED projection light set for brilliant illumination provide beautiful after dark landscaping effects. This is a heavy duty, BULLDOG fountain intended for many years of reliable service. Most importantly our EFL lighted fountains are equipped with LOW VOLTAGE lighting systems which means you wont get shocked when your power bill arrives each month. A surface mounted low voltage lighting system is brighter and much cheaper to operate than high voltage underwater lights. EFL fountain components are 100% non-corrosive and all lighted fountains come with high quality stainless steel pumps, stainless control panels and stainless mesh filter cages standard. 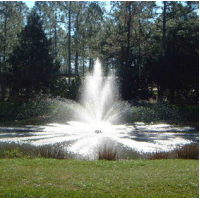 Our fountains are built with industrial grade materials which means many years of dependable service for you. * There is a $200 up charge for this fountain in the 230volt version. 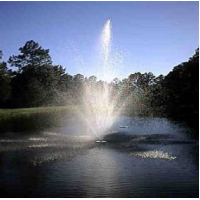 Please call us at 800-351-8814 to order this fountain in 230 volts. If you have questions or need more info call Bill at 800-351-8814 to discuss your application.